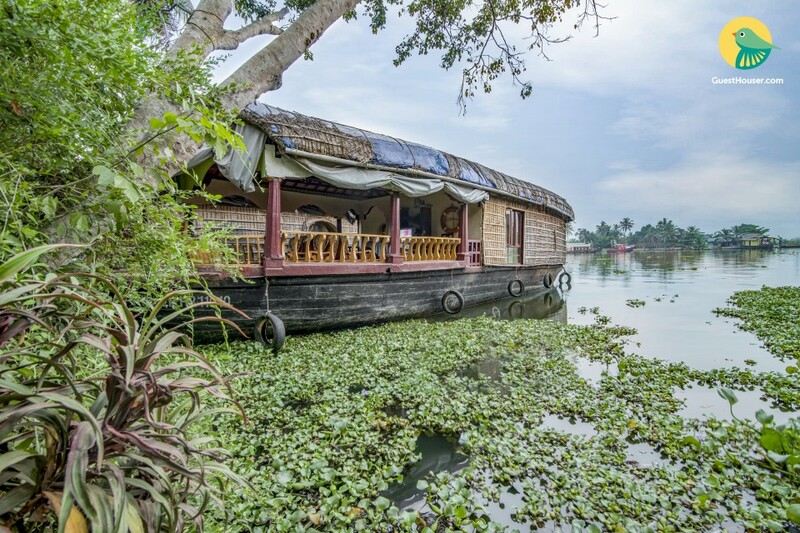 This is an offering of a one-bedroom houseboat that can accommodate two guests, thereby making it an ideal stay for those on a romantic weekend getaway. All meals are provided on request. 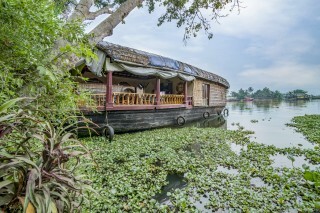 Your Space Stationed on the placid backwaters, this traditional houseboat features a bedroom done in sea-green paint that lends the room a soothing touch. The room is well-lit and partially wood-panelled that enhances the appeal of the space. 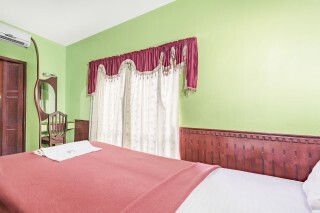 This air-conditioned room has a comfy double bed and a dressing table. 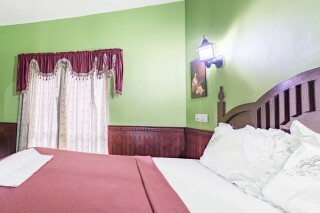 The bathroom is well tiled and equipped with western sanitary ware.